As one of the most trusted company for User Experience designing, Webnexs has experiences that can be leveraged in building far-reaching designing solutions on the go. We have made superior impact with our state-of-the-art website designing services in each corner of the world. We make your Business website the best selling tool by offering rich User-Experience[UX]. Boost your brand identity with great design concepts by our experienced designers. User Interface [UI] design is the process of enhancing your website in term of the visual appeal which stands over the UX - easy to use and great interaction with end user and the product. 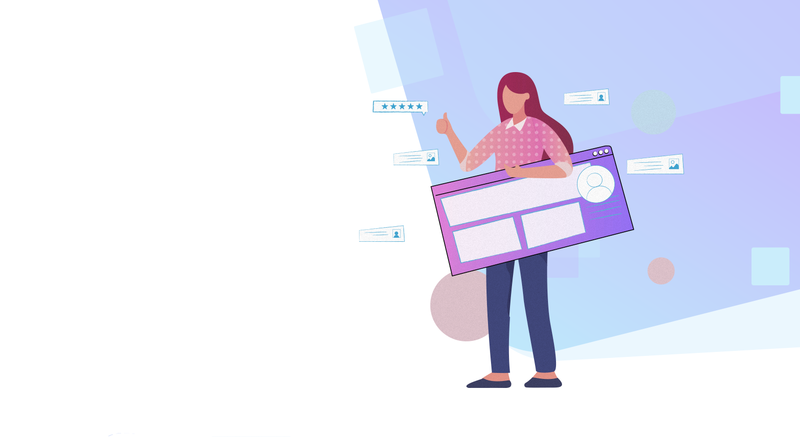 We at Webnexs have team of dedicated website UX / UI developers and designers who have innovative ideas to deliver the masterpiece that you are looking forward to get crafted. Our highly qualified teams have several years of experience in the UX / UI design that will take care of website user interface design. Webnexs provides you the service of hiring dedicated resources who are well-versed in different technologies such as Magento, Prestashop, PHP, CodeIgniter, Laravel, Python, Node.Js, MongoDB Android, iOS, etc. A dedicated developer will work only for a single client, providing complete attention and swift productivity. You can hire dedicated web developer‘s to integrate with and have a community of software engineers who acts, as required, by your project requirements and business needs. In the current competitive business landscape, success doesn't come easily. Outsourcing your business needs to our dedicated team gives you a sustainable edge to win. Digital marketing managers at Webnexs aim to create and maintain a powerful online presence for their clients’ website. This is because our responsibility entails being in tandem with the latest trends in the market and enabling you, the website owner, to be aligned with these trends. Association with us for your testing needs gives you the freedom to focus on your core business and solution development leaving the testing and verification process to cynosure, saddling the quality assurance needs in our trusted hands. This can provide many benefits to companies, who are seeking to improve the quality of their production applications, reduce business risk through rigorous testing and augment and improve upon the incumbent testing teams and processes. A project manager must define what a project will achieve and then ensure it meets those goals. Highly Trained Project Managers manages the entire Website Development lifecycle with focus on efficiency. They provide much-needed direction to ensure that at every phase of the project ‘Develop and proactively manage’ project plans, including scheduling, identification of risks, contingency plans, issues management, and allocation of available resources. An in-house team of software professionals with a breadth of experience in .Net, Java, iOS, Android, Oracle, MySQL, python, C++ and many other in-demand technologies. Your new dedicated team becomes part of your daily scrum and follows an agile methodology that allows for resource adjustments throughout the production cycle. We carefully source, hire, train, and provide benefits and payroll for all of our talented employees. When we handle the recruiting process and all related administration costs, you save up to 55%. We’re not your typical outsourcing firm; more than 70% of our engineers have advanced the most high-demand technologies. 1. If I hire a developer, does that mean I have that person dedicated only for me? Yes, the developer you hire will work full-time dedicating it only to you. 2. How do we keep ourself informed about the project? We will send you regular project status reports. You can connect with our developers through different communication mediums like e-mail, basecamp, skype etc. 3. Do you provide daily progress report? We provide daily, weekly or monthly basis project reports. The frequency of the progress reports will depend upon the complexity of the project and we ensure our experts stick to it. 4. What type of security do you provide? For sensitive projects, we create isolated cells disconnected from any public network pushed into our local private clouds to show you the demos. 5. How can you increase the sale on my website? Our dedicated team of Digital Market Experts can help you to improve your online presence. This will help you to reach of large amount of potential customers, resulting in increasing your business revenue. 6. Do you provide technical support and maintenance? Yes, we offer technical support and maintenance service based on client request. 7. Do you provide source code for various applications? 8. Is testing also included in your pricing? Yes, we believe testing is an integral part of development process and thus take care of same in our pricing? 9. Are my business secrets and information safe with your company? Yes, all work done by your team is considered confidential and the intellectual property rights embodied in it are your exclusive property.